SonicWall has been fighting the cybercriminal industry for over 27 years, defending small, medium-sized businesses and enterprises worldwide. Our combination of products and partners has enabled an automated real-time breach detection and prevention solution tuned to the specific needs of the more than 500,000 organizations in over 215 countries and territories, so you can do more business with less fear. 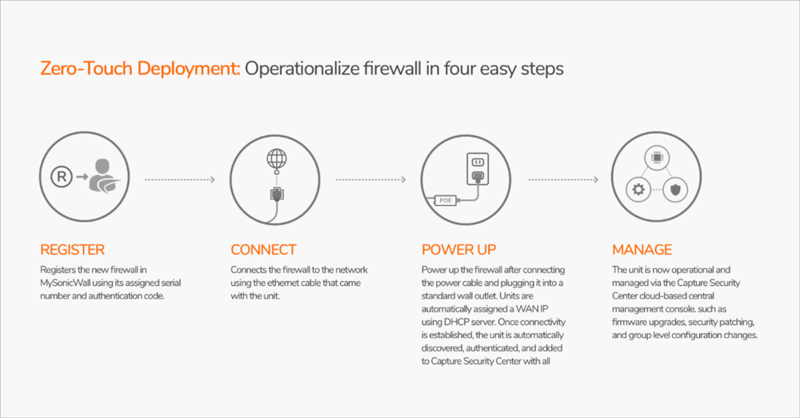 SonicWall delivers the leading networking security platform and services that protect organizations from rapidly emerging and advanced cyber threats. SonicWall is a cyber-industry innovator with a proven go-to-market track record that customers, partners and distributors trust. SonicWall’s leadership has been recognized by analysts, media and investors for its capabilities, expertise and team. Guided by business processes and service level requirements, the SonicWall Global Management System (GMS) enables manage service providers (MSP) establish a fully coordinated security governance, compliance and risk management service offering. It allows MSPs reduce management silos and operating expenses while delivering the ultimate in visibility, agility and capacity to govern the entire SonicWall network security ecosystem with greater clarity, precision, and speed – all from one place. 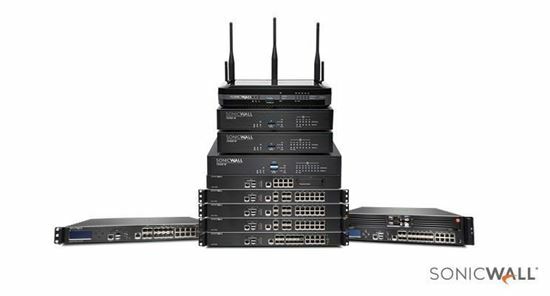 The feature-rich GMS platform lets MSPs centrally manage SonicWall firewall, wireless access point, email security and secure mobile access solutions, as well as third-party network switch solutions. 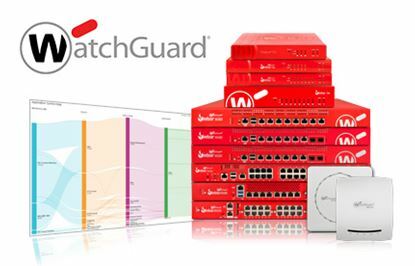 This is all done via a controlled and auditable work-stream process to keep networks sharp, safe and compliant. GMS includes centralized policy management and enforcement, real-time event monitoring, granular data analytics and reporting, audit trails, and more, under a unified management platform. Workflow GMS also meets the firewall change management requirements of organizations through workflow automation. 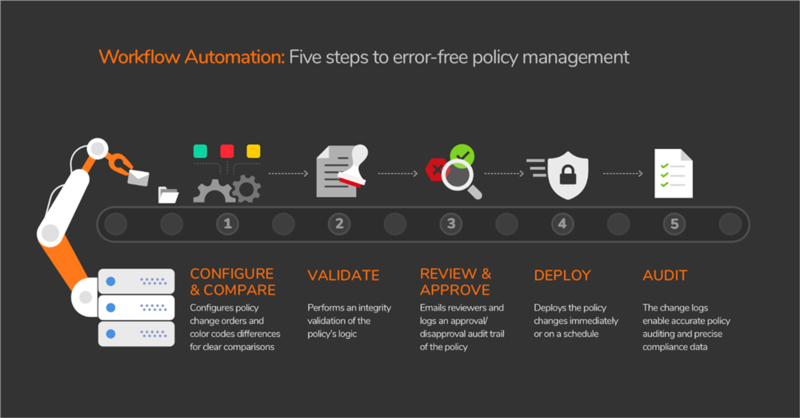 This intrinsic, automated process assures the correctness and the compliance of policy changes by enforcing a rigorous process for configuring, comparing, validating, reviewing and approving security management policies prior to deployment. The approval groups are flexible, enabling adherence to company security policies and assuring the right firewall policies are deployed at the right time and in conformance to compliance regulations. GMS offers over 140 pre-defined reports as well as the flexibility to create custom reports using any combination of auditable security data. 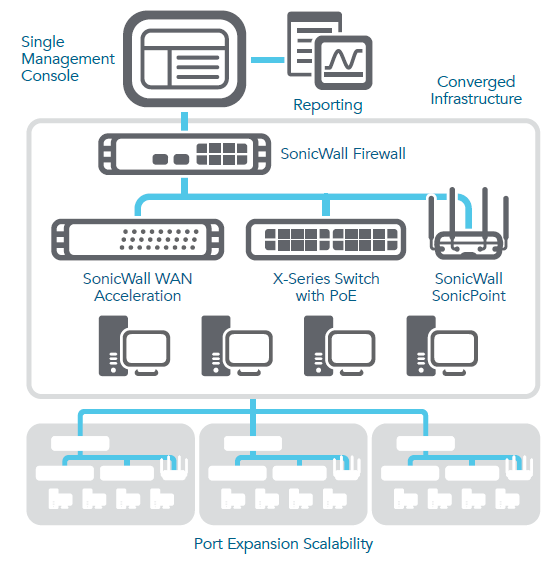 Every report is designed, with the collective input from many years of SonicWall customer and partner collaborations. This provides the deep granularity, scope and knowledge of syslog and IPFIX/NetFlow data needed to track, measure and run an effective network and security operation. 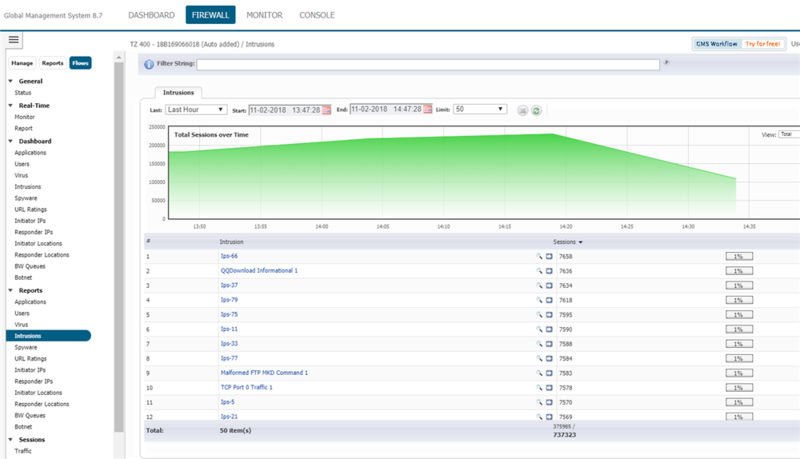 Live graphical reports simplify managed appliance monitoring in real-time. Security teams can easily identify traffic anomalies based on usage data for a specific timeline, initiator, responder or service. They can also export reports to a Microsoft® Excel® spreadsheet, portable document format (PDF) file or directly to a printer for regular business review. 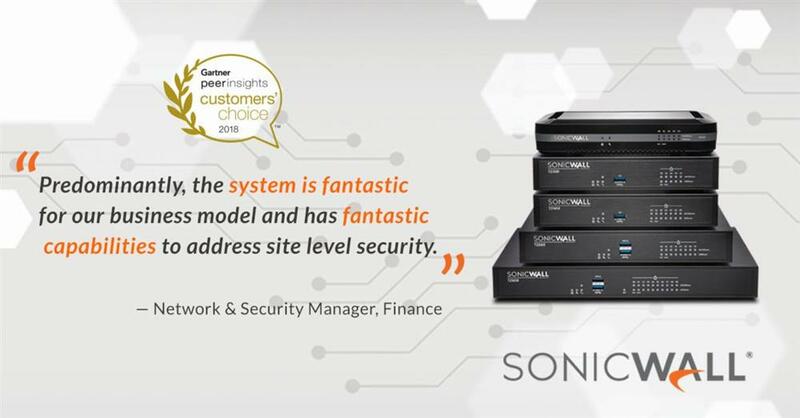 The SonicWall Global Management Systems (GMS) provides a holistic way for MSPs manage customers’ network security environment by business processes and service levels. 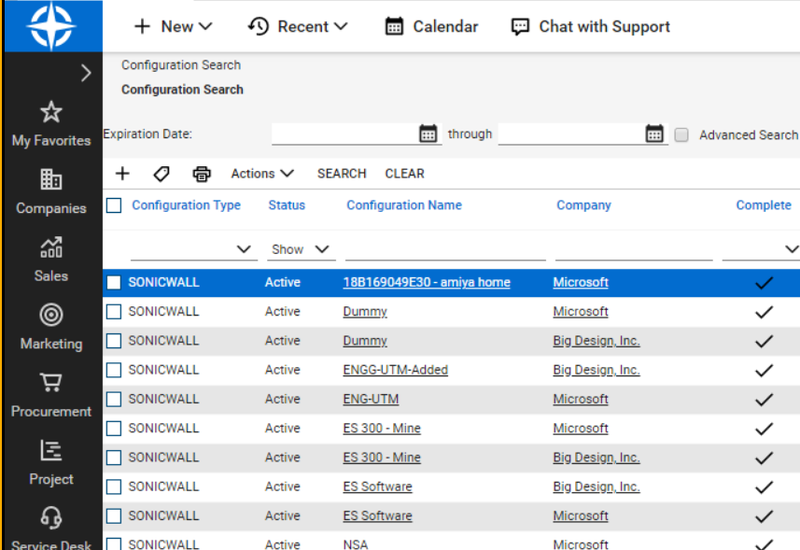 Company Mapping - MSP partners can share selected clients’ profile between SonicWall GMS and ConnectWise Manage and map all managed SonicWall assets associated with each client within the ConnectWise portal for management and monitoring. 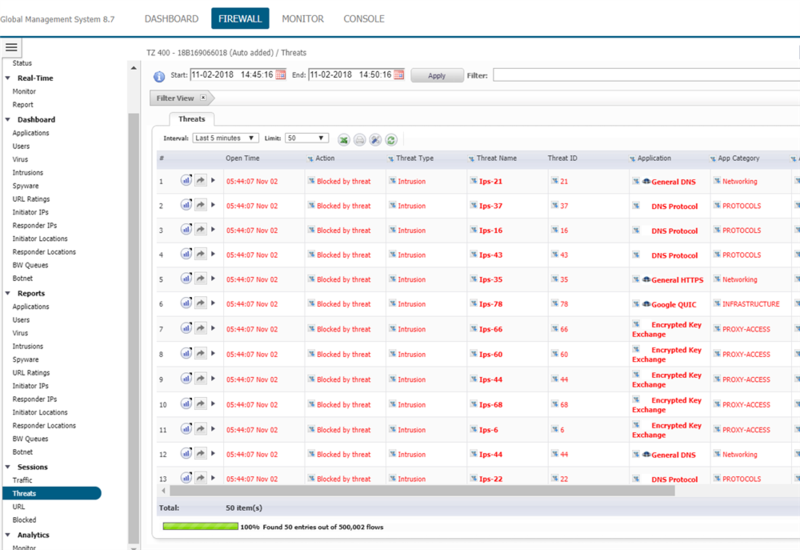 Auto Asset Synchronization Integration - Automatically update the number and type of managed SonicWall security appliances mapped to a client’s account in ConnectWise Automate portal for asset tracking and usage. Give visibility to client names and device details, such as model, serial, version, active subscription, enrolled dates, service expirations, IP/MAC address and more. 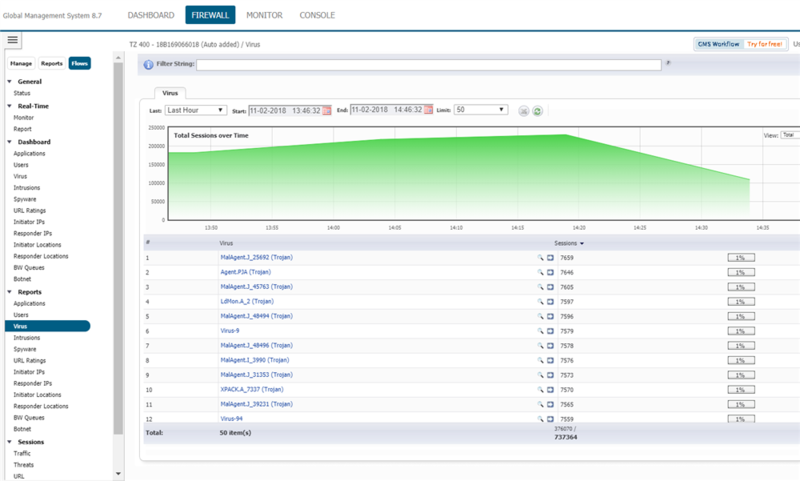 MSPs also gain visibility into asset inventory inside ConnectWise for easier device management. Whenever a new unit is added, a configuration is created for that unit through ConnectWise and the same is stored in GMS. Reversely, whenever a unit is deleted, the configuration created in ConnectWise is deleted and the same is removed from GMS. 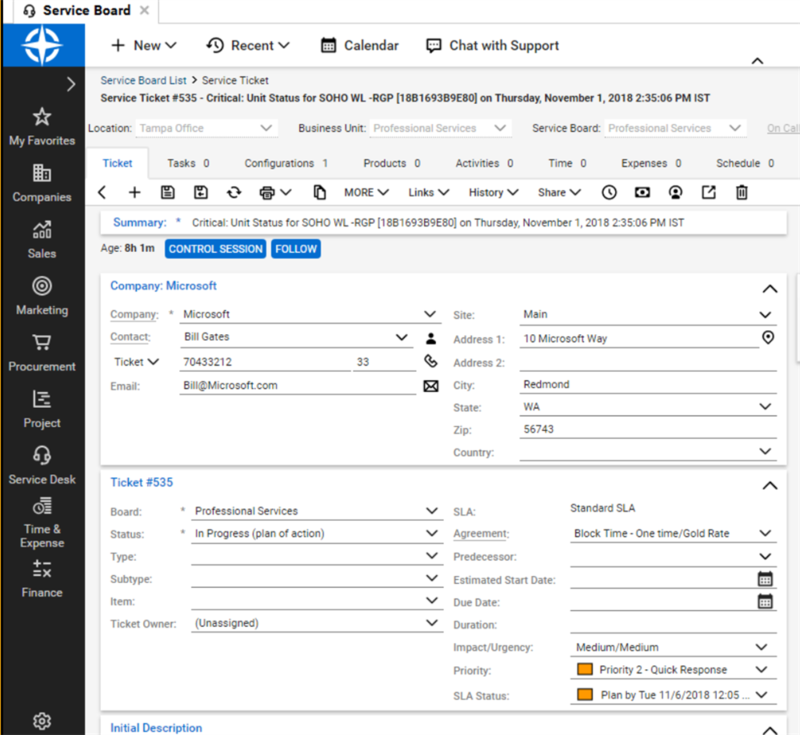 Auto Ticketing Service Integration - Create GMS system-generated alerts automatically in the ConnectWise Manage ticketing system. Track, document and communicate all open tickets bi-directionally during the correction process until they are resolved and automatically closed. Ticketing is mapped between the systems. When they are created in either system, GMS synchronizes both systems to reflect changes to both systems. ConnectWise can also send status alerts to the stakeholders using various communication tools until service ticket is acknowledge or closed. These includes email, text messages (SMS), phone calls and even iOS & Android push notifications. SonicWall Global Management System (GMS) bringing greater visibility, manageability and serviceability of it network security solutions via a bi-directional integration with ConnectWise Manage® software. With more than 27,000 SecureFirst global channel partners, the GMS-ConnectWise integration is driven by the collective inputs from many years of partner collaborations. The benefits to MSPs are increased visibility into their customers’ data, improved productivity and better overall efficiency. The combined solution gives MSPs single-portal experience for automated service ticketing, system alerts and failover, and asset synchronization. 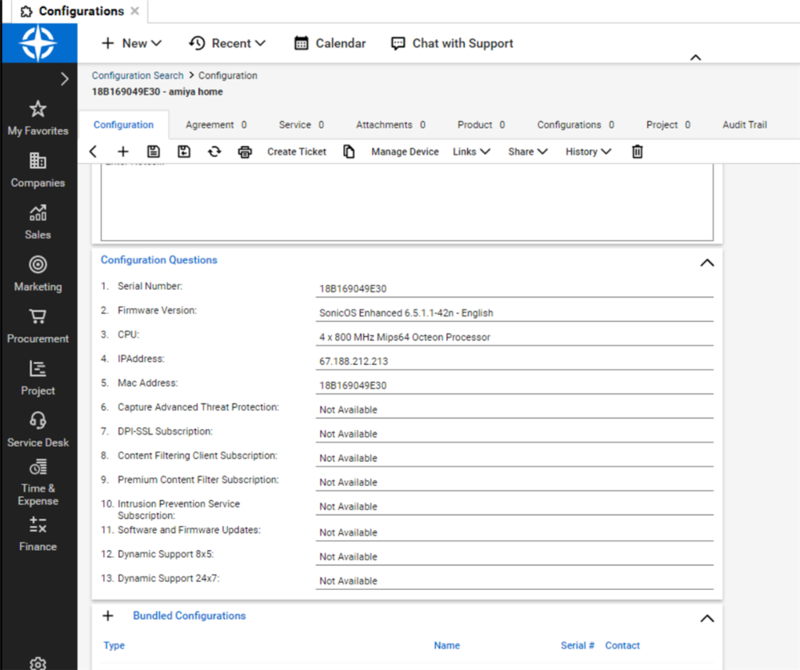 MSPs can easily and quickly perform and administer these important operational tasks natively within the ConnectWise Manage portal based on set priority and/or severity level. SonicWall's ConnectWise Manage Integration is certified via the ConnectWise Invent Program. If you need assistance with creating API members or integration setup please send a note to Help@ConnectWise.com and the ConnectWise Manage support team can assist. For any other questions with this integration, please contact the SonicWall team directly to resolve any issues.